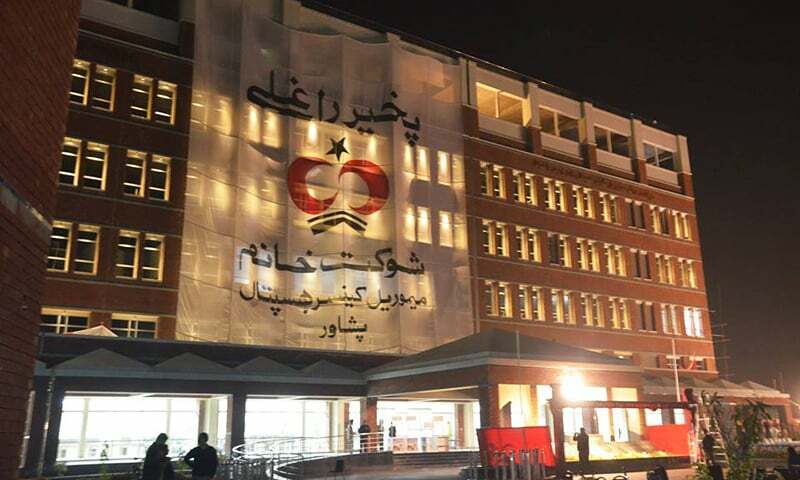 PESHAWAR: Pakistan’s largest and the second Shaukat Khan Khanum Memorial Cancer Hospital and Research Centre was formally inaugurated here Tuesday.It was announced on the occasion that 75 percent cancer patients would get free treatment. A six and a half years old cancer patient, Faakhir Afridi, along with Pakistan Tehreek-i-Insaf (PTI) chairman Imran Khan inaugurated the hospital. Donors, members of the hospital’s board of governors, and senior staff members of the Lahore-based cancer hospital attended the event. British High Commissioner to Pakistan Philip Barton was also present. Speaking on the occasion, Imran Khan said establishing a cancer hospital in Khyber Pakhtunkhwa was one of his biggest dreams. “The construction of the free cancer hospital is beyond logic, wisdom and rationality and I congratulate all Pakistanis for their generosity which made it possible to build two hospitals,” he said. “Cancer treatment is one of the most expensive in the world. Despite having all the resources and my start status, my mother died due to cancer. The poor people have no place to go for treatment of cancer,” he reminded. “It is a miracle because these are the only hospitals in the world that offer free cancer treatment to 75 percent patients,” he said.He praised Prof Dr Nausherwan Khan Burki, who happens to be his cousin, Dr Faisal Sultan, chief executive SKMCH and Dr Asim Yousaf, medical director, for their contribution in realising his dream of establishing the two free cancer hospitals. “There had been many occasions of happiness in my life but I was so excited over completion of the cancer hospital in Peshawar that I couldn’t even properly sleep last night,” Imran Khan remarked. Though Imran thought he had arrived an hour before the start of the scheduled time, he kept the participants waiting for his arrival to formally begin the proceeding.Imran recalled his old struggle launched by him in the 1990s for collecting donations to build the cancer hospital in Lahore. “In the 1990s, I was at the peak of my popularity as a cricket star but when I decided to establish a cancer hospital through donations, I collected Rs100 million only in one and half years. But now when we made an appeal for Rs800 million donations in November last, people gave us Rs900 million because of their trust in the excellent services provided by the Shaukat Khanum Hospital Lahore,” Imran said. He said he needed Rs800 million to purchase important diagnostic equipment for the hospital and this had prompted him to make the appeal for donations in November. Imran recalled he had visited 29 cities of the country in six weeks to collect donations for the cancer hospital in Lahore. “During my life, I had not even asked my father to give me money, but when I decided to establish the cancer hospital, I used to go to every person to collect donations. The educational institutions and the students played a vital role in establishing the first cancer hospital. They proved my real tigers and helped my fundraising campaign for the hospital,” he said. Imran said he used to go to educational institutions in the morning and bazaars in the evening to seek donations. “I can’t describe the scenes how daily-wagers, poor labourers and shopkeepers generously donated for the cancer hospital,” the PTI leader said. Imran said after deciding to set up the first cancer hospital, he called top 20 doctors in Lahore to seek their opinion.“Out of 20, 19 said establishing cancer hospital was not possible in Pakistan. One of them said it was feasible but providing free cancer treatment is not possible. But I was determined and we built Lahore hospital 21 years ago and opened the second one in Peshawar today,” he stressed. In the 1997 general election campaign, he said the PML-N launched campaign against the hospital in Lahore and it caused a drop in donations and the hospital was about to stop operations. “But once people went to the hospital then nobody could stop them from giving donations. We spend Rs7 billion in Lahore per year and faced a deficit of Rs3.5 billion but we were able to not only cover the deficit but also raise Rs4 billion for the Peshawar hospital,” Imran expolained. The hospital would provide 20 beds for chemotherapy, six emergency room beds, 12 admission beds, two intensive care unit beds, radiology services, including mammography, plain radiology and ultrasonography and pathology laboratory. In the first phase, the hospital will provide X-ray, CT scan, MRI, chemotherapy and pathological services to the patients. Next, the radiation services will be made available in the second phase and surgery after one year. Imran said the Peshawar hospital was 30 percent larger in size than the one in Lahore.The construction of this comprehensive cancer diagnosis and treatment hospital began on March 9, 2011. Imran Khan said the hospital was built as per international standards to provide modern cancer treatment services to the people of Khyber Pakhtunkhwa irrespective of their ability to pay. He said patients are equally treated in Shaukat Khanum Hospital. “In the Lahore hospital, son of our great poet Allama Mohammad Iqbal, Javed Iqbal was lying on one bed and a poor patient was on the bed next to him,” he pointed out. With the establishment of the Peshawar hospital, patients would no longer need to go to Lahore, he said, adding, 23 percent cancer patients visiting SKMCH Lahore belonged to Khyber Pakhtunkhwa and Fata and some even came from Afghanistan. It may be added that former chief minister Ameer Haider Hoti, who belonged to the ANP, had provided 50 kanal of government land in Hayatabad to the cancer hospital free of cost and had also donated Rs50 million. Dr Faisal Sultan, the chief executive officer of SKMCH Lahore, told The News the patients would be offered the best quality treatment in the Peshawar cancer hospital.He said being an expensive treatment, cancer destroyed families financially. 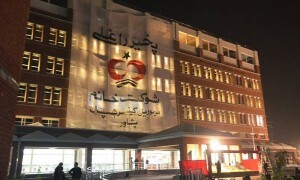 Dr Asim Yousaf, medical director of SKMCH Lahore, said in the first phase they started walk-in-clinic, outpatient clinics, chemotherapy facilities, radiology services, ICU, an inpatient unit and emergency assessment room in Peshawar from December 29. What is Eid Al Adha or Eid ul Aza? When will Muslim celebrate Eid Al Adha 2016? When is the Eid Al-Fitr 2016 holiday?